— 1990: California bans “multi-burst trigger activators,” which include bump stocks. — Nov. 3, 2017: Massachusetts enacts ban on bump stocks. — Dec. 19: Columbia, South Carolina, enacts ban. — Jan. 15, 2018: New Jersey ban signed into law. — Jan. 22: Denver City Council bans bump stocks. — March 6, 2018: Washington state enacts ban. — March 9: Florida enacts ban along with host of other gun-control measures. — March 26: Lincoln, Nebraska, enacts ban. — March 29: The federal Bureau of Alcohol, Tobacco, Firearms and Explosives seeks public comments on a proposed change to federal regulations on bump stocks. — April 11: Vermont enacts ban. — April 18: Slide Force Solutions, the leading manufacturer of bump stocks, announces it is shuttering its business and will stop taking orders as of May 20. — April 24: Maryland enacts ban. — May 31: Connecticut enacts ban. — June 1: Rhode Island enacts ban. — June 14: Delaware enacts ban. — June 27: The comment period on the proposed ATF rule change closes. — July 9: Hawaii enacts ban. 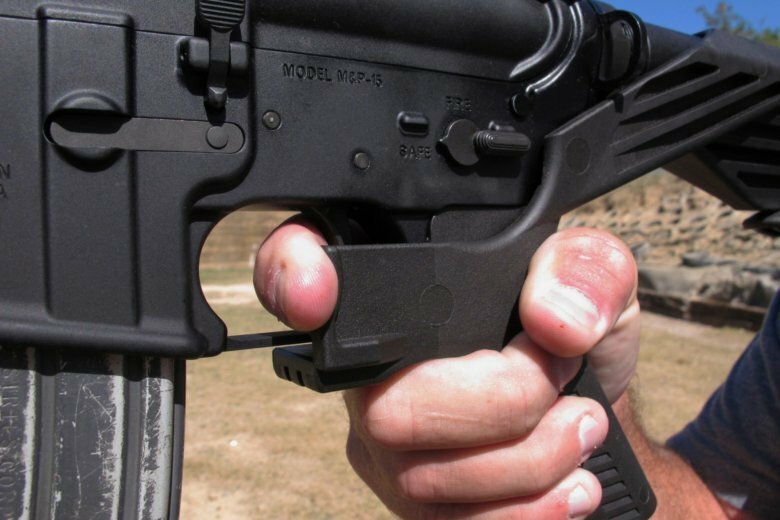 — July 27: RW Arms, a Texas-based company, announces it will start selling the leftover stock of bump stocks from Slide Force Solutions. Part of a series of stories by The Associated Press marking the one-year anniversary of the Las Vegas shooting.